Kevin Pietersen is due to appear at a news conference on Wednesday where his England return is set to be announced. 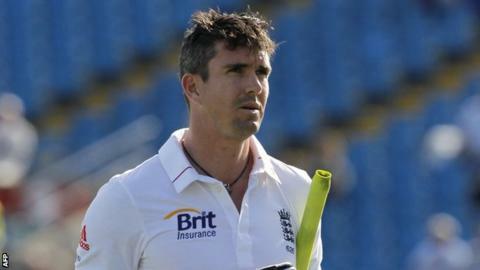 But the England and Wales Cricket Board (ECB) has held talks with Pietersen and could pick him for the tour of India. "Pietersen has done everything he can to prove himself to England. He is committed. I have heard reports he needs to apologise publicly. That is a nonsense. He just has to go in to see the players. The players haven't been as rosy as has been reported; it is 70% Kevin. England need their best players - we have just seen that with the World Twenty20. You need players with the X-factor, especially going to India. Kevin has got that." The player and ECB chairman Giles Clarke are expected to appear before the media in Sri Lanka. Former England spinner Phil Tufnell believes Pietersen will be added to the already named for the tour, which starts next month. "I think Pietersen will go on the tour to India. [Captain] Alistair Cook wants to take his best side, and I think he'll get his way," said Tufnell. England team director Andy Flower said on Tuesday: "The situation is ongoing and I think it's nearing an end now, hopefully in a positive way." Pietersen has not played for England since being against South Africa in August. It is understood he has not had the chance to speak to all the England players as a group since then. Flower said his absence has affected the team's fortunes, notably at the World Twenty20 in Sri Lanka. England, the defending champions, were knocked out of the tournament by the hosts on Monday. Asked whether Pietersen was missed, Flower said: "Of course, but he wasn't available for this tournament when we selected the side." BBC cricket correspondent Jonathan Agnew expects an imminent resolution to the situation. Agnew said: "It does appear that the first stage of Pietersen's reintroduction to the England camp will start sometime this week. "We can also expect an assurance that England's commitments will come first. It will then be for the management and selectors to decide whether Pietersen will be a late addition to the team to tour India." Pietersen had targeted a return to the team for the tour of New Zealand in February. But with England heading for a tricky tour to India in November, he could be drafted in to boost an inexperienced batting line-up. New Test and one-day captain Cook has been positive about Pietersen's return to the fold since taking over from Andrew Strauss. He leads a squad to India that includes uncapped pair Joe Root, 21, and Nick Compton, who hit 1,191 first-class runs for Somerset this season. Discussions between Pietersen and the ECB have been ongoing since the second Test against Proteas at Headingley, when the Surrey man cast doubts on his future - a claim he later backtracked from. Pietersen also apologised to former captain Strauss, who was allegedly criticised in the texts he sent to the South Africans, although he denied offering any tactical advice. England begin their four-Test winter tour of India on 15 November in Ahmedabad, before games in Mumbai, Kolkata and Nagpur.